March in NYC can be chilly and full of last-minute winter blizzards before the first day of spring at the end of the month. On cold days, some great indoor activities include seeing a hockey or basketball game or attending the Armory Show or Design Show. The cherry blossoms often welcome the beginning of spring in NYC when they start blooming at the end of March or early April, depending on the weather. If you are looking to get in the spring mood early, head to the New York Botanical Garden (NYBG) Orchid Show or the Macy’s Flower Show. Keep reading or watch our quick overview video for our top celebrations, shows and events that make March a great time to visit NYC. Inside Macy’s Herald Square, the annual Flower Show will be blooming with incredible displays. This year’s theme is “Journey to Paradisios” which promises to be an intergalactic out-of-this-world experience. Every year Macy’s showcases huge floral arrangements for free from March 24 through April 7, 2019. The New York Botanical Garden Orchid Show is not to be missed! With 7,000 orchids in their collection, this year’s theme focuses on Singapore. Singapore’s national flower is a hybrid orchid, the Vanda orchid known as the rainbow orchid. Two icons of Singapore make an appearance: the Supertrees from the Gardens by the Bay and the arches from Singapore Botanic Gardens. Read more about the Vanda orchid, why Singapore was chosen and the history of orchids here. Fat Tuesday is a feast before Lent and an excuse to enjoy amazing jazz performances and big parties. Enjoy New Orleans inspired jazz concerts at the Blue Note in Greenwich Village or southern fare and music at the Valerie in midtown Manhattan. Top parties include: a Creole Carnival at The Salon at the Montauk Club in Park Slope Brooklyn, concerts at Brooklyn Bowl and House of Yes in Bushwick, Brooklyn. Gorge on seasonal treats like king cake cupcakes at Billy’s Bakery or the Doughnut Plant’s king cake inspired doughnuts. 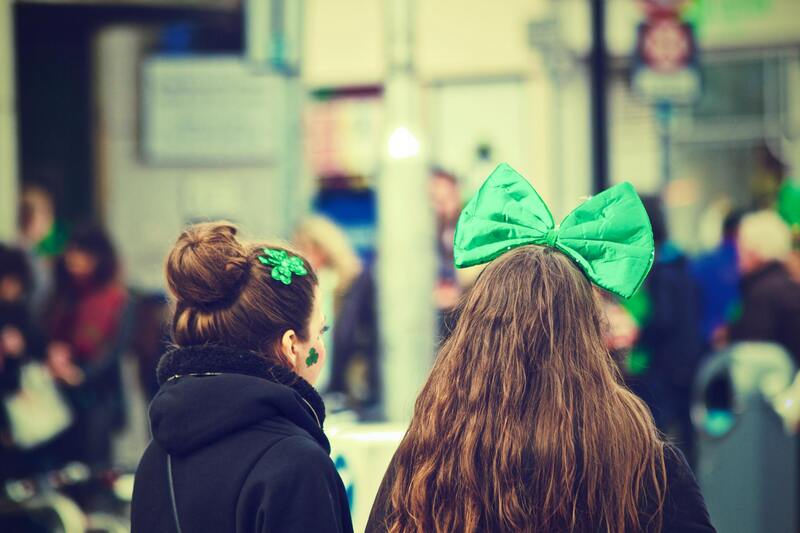 Celebrate Saint Patrick’s Day with a ticketed Mass at the beautiful St. Patrick’s Cathedral or by joining in the festivities of the parade on March 16. 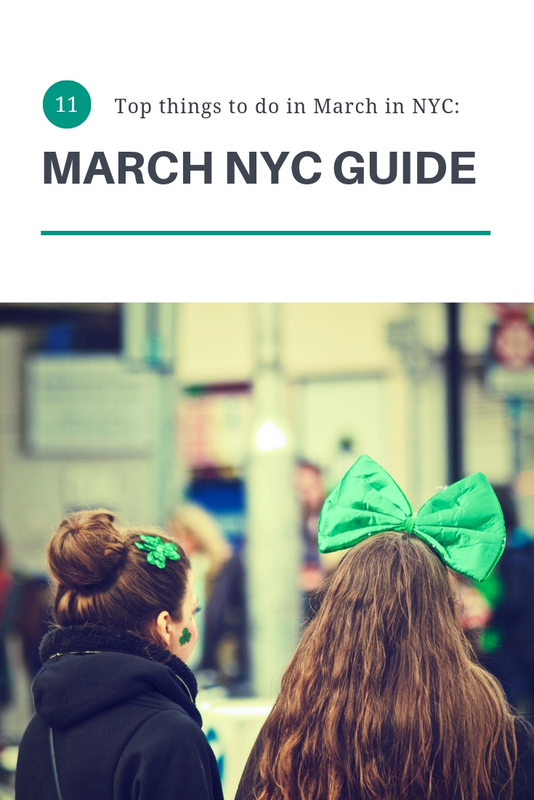 The parade fills Fifth avenue with every shade of emerald and every Irish bar with seasonal drinks and special discounts and even some green beer! Enjoy watching the parade travel uptown through the Upper East Side or embard on a self-guided pub crawl. Celebrate a month full of special events, exhibits and performances. March was named Women’s History Month to “amplify women’s voices to honor the past, inform the present and inspire the future.” It is meant to both celebrate women’s contributions to America and the world and encourage work that can be done on future equality. See “Activist New York,” the permanent exhibit at the Museum of the City of New York which includes women protesters who helped remove Prohibition’s ban on alcohol from 1919 to 1933. The Museum of the City of New York is located at 1220 Fifth Avenue, between East 103rd Street and East 104th Street. More here. Just after February’s Black History Month, MMN El Barrio Firehouse Community Center will exhibit “Natural Hair… Pride or Status?” Travel along a timeline from Ancient Africans wearing majestic hairstyles to present day natural hair trends. This community center in the old Engine Co. 53 Firehouse opened in 2012 and is located at 175 East 104th Street, between Lexington Avenue and Third Avenue. Visit here. Try chocolate samples while learning about “Women and Chocolate” an exhibit and lecture at Manhattan’s oldest house, Morris-Jumel Mansion at 65 Jumel Terrace in Washington Heights. The talk will break down how chocolate was marketed directly to women and also how it became popular in the 18th and 19th centuries. Visit here. Watch NHL hockey games featuring the New York Rangers, New York Islander or Jersey Devils. For March Madness, enjoy a New York Knicks or Brooklyn Nets basketball game at a bar or in person. This is the NYC’s biggest festival of colors, it is a fun dance party with one dress code requirement: wear white. Then you are given different colored pigmented powders you can throw at each other, so that you leave with your white clothes covered in every color. Tickets often sell out, learn more here. This is a smaller version of the October NYCC event, but includes fun events, cosplay and guest speakers like William Shatner. Get tickets here. See this international art fair featuring 20th and 21st century art from around the world. Learn more on their website. Enjoy Flamenco performances of Spain’s finest dancers and musicians around the city. Feast on Spanish tapas and wine or take dance lessons. More information here. Architectural Digest’s 18th annual design show is full of design inspiration and events. The show takes place on Piers 92 and 94, at 55th Street and Twelfth Avenue from March 21 – 24, 2019. Learn more about the show here. What’s your favorite activity to do in March in NYC? Did I miss any, comment below! Hope you get to travel somewhere beautiful soon, wherever it is an adventure outside where you are or even in your own backyard! Thank you for the guidance on visiting New York. I’m going soon and I feel a lot more confident about the trip after watching your videos. I’m running the NYC Half Marathon (also on St. Patrick’s Day) and looking forward to using some of your tips and advice.